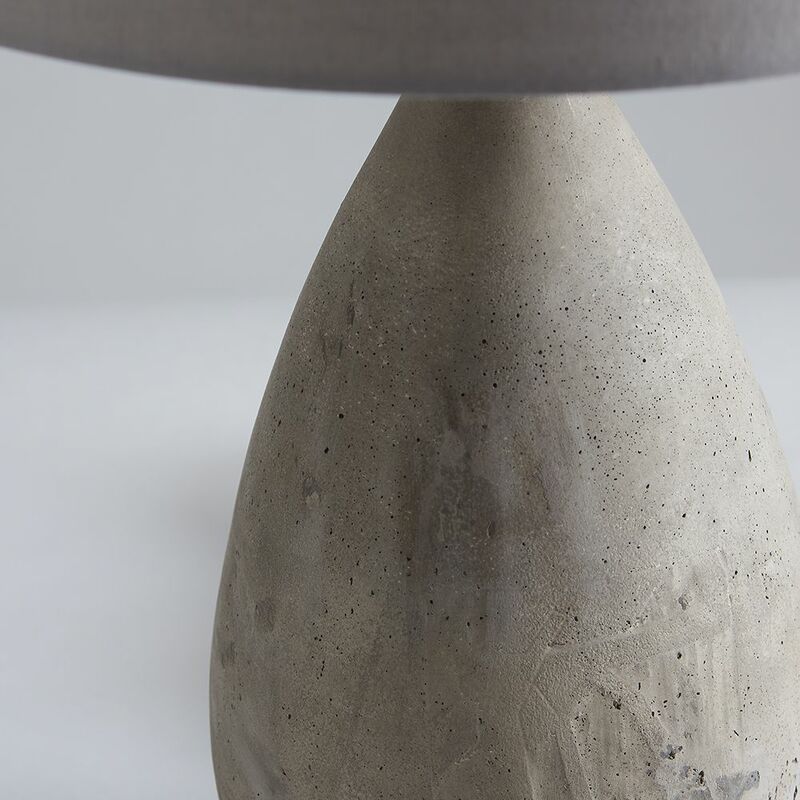 This chic teardrop shaped lamp consists of a roughly poured concrete base, with all its natural imperfections and a light grey cotton shade. The neutral tones of the base and shade lend themselves to almost any setting. 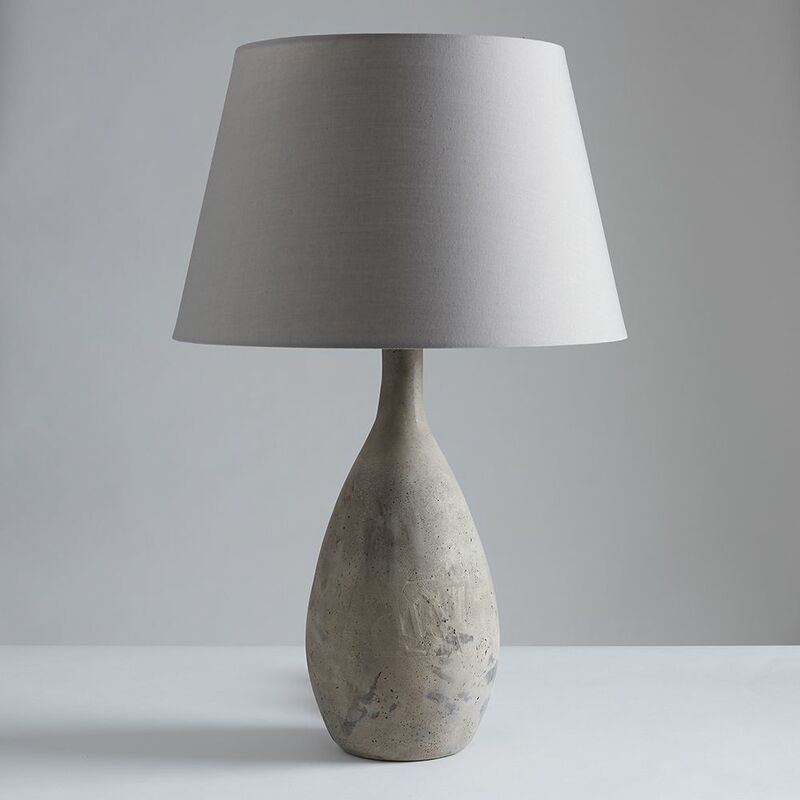 Equally at home on a desk, bedside table, side table or shelf, they look great lit or unlit. Approx. 59cm high x 39cm dia (takes a maximum 60W bulb).